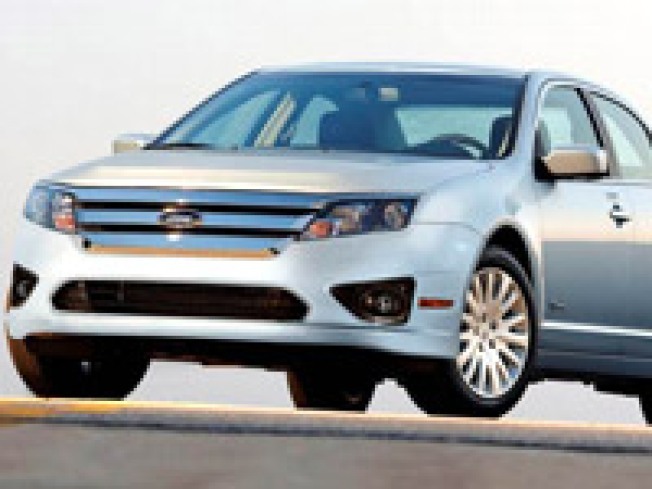 U.S. safety regulators have opened a preliminary investigation into the possibility that accelerator pedals could be entrapped by floormats in Ford 2010 Fusion and Mercury Milan sedans. The National Highway Traffic Safety Administration said it had verified three complaints of accelerator pedals being trapped by unsecured "all-weather" floormats in the current production model year of the Fusion. The NHTSA warned owners not to place unsecured floormats on top of the standard, carpeted floormat on the driver's side. It opened an investigation on Friday that covers an estimated 249,301 Fusion and Milan sedans. Ford spokesman Said Deep said instructions imprinted on the automaker's all-weather floormats warn owners not to place them on top of existing floormats, as does the packaging. "We do not recommend stacking floormats in any vehicle," Deep said. "We will cooperate fully with NHTSA as we always do." The NHTSA said it had received no complaints involving crashes, injuries or fatalities in the Ford vehicles. Any optional all-weather floormats should be installed only after removing the standard floormats, the agency said. Similar complaints were raised about Toyota vehicles that were later the subject of massive recalls starting last year. The issue of unintended acceleration has prompted Toyota to recall more than 8 million vehicles worldwide, including 6.5 million in the United States, and pay a record $16.4 million fine to U.S. safety regulators. Shares of Ford were down about 1 cent at $11.72 in afternoon New York Stock Exchange trading.